There are times when bootcamp when doing the same old cardio and strength circuit gets boring to your clients. You can preempt this boredom by throwing in some challenge workouts. I can’t get over how much my clients seem to enjoy these purpose driven workouts in which they can employ tactics and an order of their choosing. I try to include a variation of this in each 4 week block of bootcamps. Sometimes they are team driven, others like this are individual. Perform a 10 minute general warm-up gradually increasing in intensity. Clients have the choice to choose their own level of difficulty. They must complete all repetitions of all exercises in the allotted time. The 10 exercises/drills can be completed in any order. These are just some sample exercises you can use. Modify for your group and equipment options. See sheet below for print off. Have clients go for an additional small run (~400m) if they finish early. Tell them to take their time. Stretch. Print and laminate copies of the exercises for clients to follow (one between four or five should do). You can also hand out whiteboard markers so they can cross off their progress as they go. The colours respond to cones. Red being about 60m, yellow 50m and green 40m. Click for PDF version. This workout has since appeared in The Little Bootcamp Book of Tyres and Ropes. A collection of the most awesome tyres and ropes exercises, drills and workouts. For more ideas like this one, check it out. 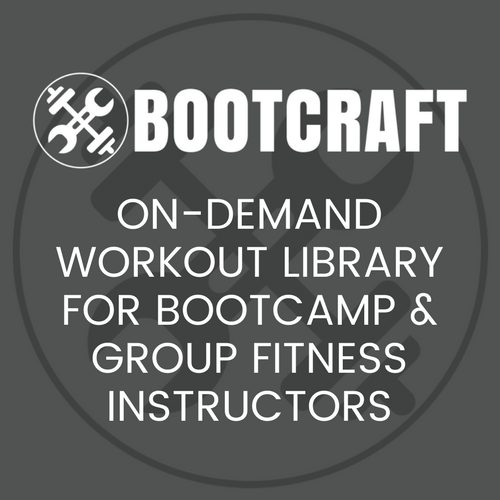 Bootcamp Ideas regularly shares new workout weekly, to keep in the loop follow our RSS feed or get email updates. It’s free.